We want to show our appreciation to the people who educate our youth, by offering you a special 20% discount on UFW and Cesar Chavez educational supplies. Now everyone can learn about this American hero and the union he founded. We also thought you'd love these limited edition hand-signed Simon Silva prints. 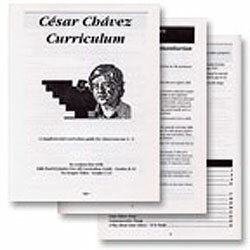 As a bonus, a free elementary curriculum is included with any order from this page. and select Educator for account type.